Everyday Century 21 M&M Realtors are asked for advice on how to get a home ready for sale. And, these days in a buyers market, getting your home ready for sale is more important than ever. Even if you are selling your home through the process of short sale, it is still important to make sure your home is in tip top condition. And, if your home is properly staged to sell, it should appeal to a wide spectrum of potential buyers, and sell more quickly – for more money. The following are seven tips to help you in the process of staging your home for sale. Curb Appeal – Take some time to approach your home as a potential buyer would. How does your home look in comparison to your neighbors? Is the landscaping neat and appealing? How about the paint, does it need touching up? Now is the time to address any maintenance issues. Also, adding an outdoor container garden or hanging plant is appealing. Often times a home is sold before the buyer even steps into the house. Top to Bottom Cleaning -There is nothing more attractive than a clean home. Make a list for each room, paying particular attention to your homes entrance, both interior and exterior. Wash the windows, shampoo the carpets, mop the floors and clean out the closets and cupboards. Pay particular attention to the kitchen and bath areas as well. 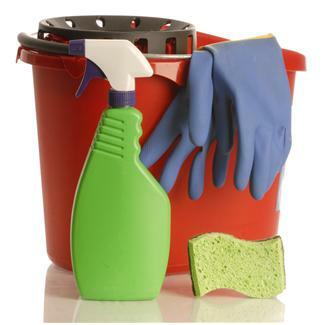 Your home should be “white glove clean”. Eliminate the Personal Items – You are NOT selling the buyer your personal style, you are selling the buyer on the idea of living at your address. Now is the time to depersonalize your home. Pack up your pictures, clean up the clutter, remove the collections and knick-knacks, discard or give away any items you do not plan to take with you. Re-Arrange the Furniture – Well placed furniture can open up a room. In other words, arrange the furniture so that buyers won’t trip over it, or have to scoot around it. Move the furniture away from the walls, at least 5-6 inches. If a room has a focal point, such as a fireplace or bay window, arrange furnishings to enhance this feature, not distract from it. If your furniture is worn or dated, spruce it up with new slip covers. Brighten up your wood furniture with polish or scratch cover. Enhance with Scent – How your home smells can leave a lasting mark on a potential buyer. Avoid cooking smelly foods before showing your home. If weather allows, open all the windows and air it out. Bake cookies, put a pot of potpourri on the stove, or spray an air or fabric freshener (avoid pine). Consider painting one wall…or one room, the lingering smell of paint gives the whole house a fresh, ‘well cared for’ smell. Bring In the Light – Show your rooms in the best possible light. Open your curtains and blinds or remove them altogether! Light makes a room seem bright and cheery. Your windows should be clean, inside and out, and if possible, remove screens that are not necessary for day to day living. If you have a room with dark walls and no windows, leave a few lights on at all times during showings. If overhead lighting seems too stark, try turning on lamps for drama. Freshen or Update the Linens – In the bath, consider setting out guest towels and a fresh bar of soap. Stained, dingy towels are a no-no for home showings. Wet towels and bath rugs should be tossed in the dryer before heading off to work while your home is on the market. Beds should always be made up as if you are expecting company. Tattered or well-worn/dated bedspreads should be removed and/or replaced as well. Throw rugs should also be in great condition or removed altogether. Feel free to ask Century 21 M&M Realtor for help when it comes to getting ready to sell your home. They sell homes every day and have the experience and know what needs to be done to get your home sold. Remember, Home staging is not about “how you live”, it is about appealing to the widest number of potential buyers. Simply put; emphasize the positive, neutralize the negative and define the spaces. If a potential buyer can visualize themselves living comfortably in your home, you have a sale. Call Century 21 M&M today at (800)350-1548.